The Bengals, avenging a playoff loss to the Lakers a year ago, got three consecutive touchdown passes from senior quarterback Jack Haring in the first half en route to a 34-7 victory. For Blaine senior quarterback and co-captain Jack Haring, it’s all going according to script. Haring can check off another box this season. 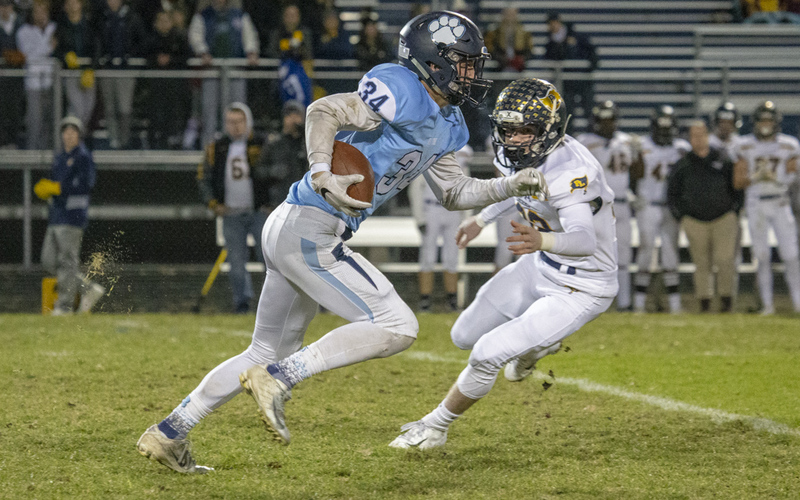 Undefeated Blaine put away familiar playoff foe Prior Lake with a 34-7 victory Friday in the second round of the Class 6A playoffs at Blaine High School. The Bengals (10-0), ranked second in the Star Tribune’s Metro Top 10, used three consecutive touchdown passes from Haring in the second quarter to build a 31-7 halftime lead. Senior receiver Brandon Wittig caught two of those for 44- and 56 yard-scores. All of his unofficial 136 total receiving yards came in the first half on four catches. 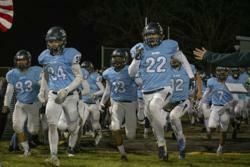 Blaine got its mojo going early after the teams traded three-and-outs to start the game. Senior co-captain Tony Strand returned a punt 79 yards for the first score of the game to set the tone. Prior Lake (5-5) got within 10-7 in the second quarter on a 5-yard touchdown run from quarterback Colin O’Connor. But the Bengals responded 1 minute, 3 seconds later with the first of the second-quarter touchdown trio. In addition to the two catches from Wittig, junior Damari Porter caught a 15-yard pass in the endzone after a Lakers turnover. The game was a role reversal from a year ago when home team Prior Lake defeated Blaine 49-14 in the same playoff round. The undefeated season is still intact for Blaine. 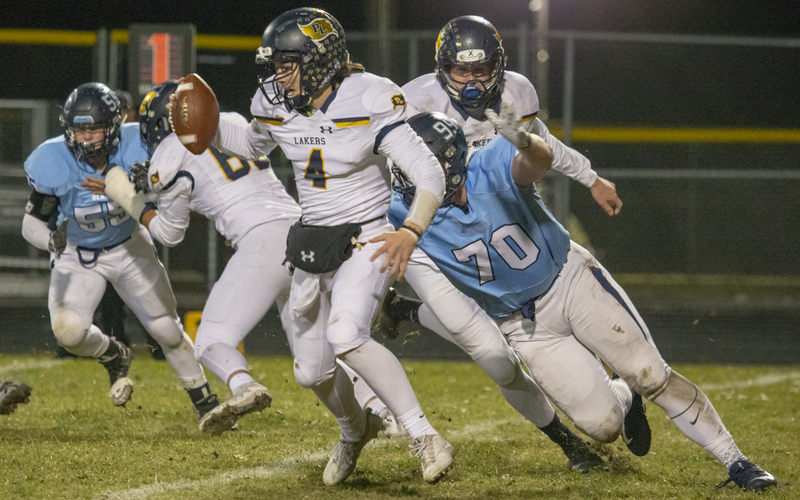 The Bengals defeated a familiar playoff foe, Prior Lake, by a 34-7 score in the second round of the Class 6A playoffs Friday at Blaine High School. The Bengals (10-0), ranked second in the Star Tribune’s Metro Top 10 and one of four No. 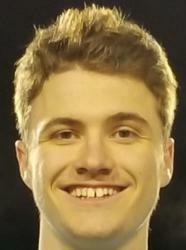 1 seeds in the Class 6A tournament, used three consecutive touchdown passes from senior quarterback Jack Haring in the second quarter to build a 31-7 halftime lead. Receiver Brandon Wittig caught two of those passes for 44- and 56-yard touchdowns. All of his unofficial 136 total receiving yards came in the first half on four catches. 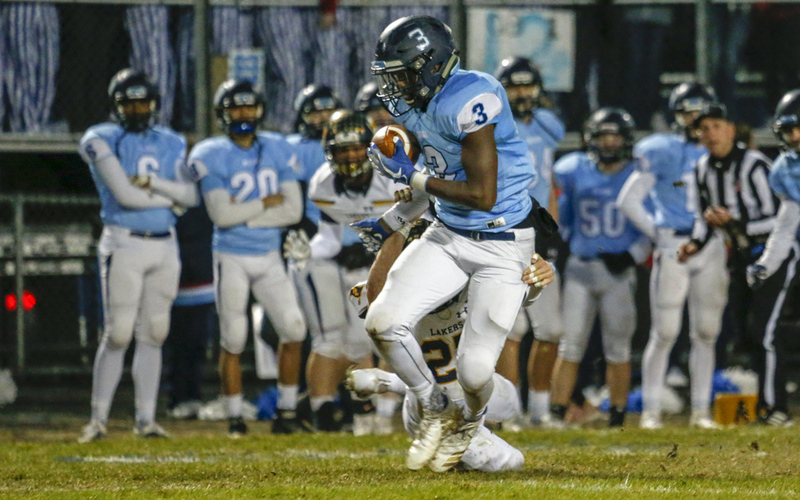 Both teams started the game with three-and-out drives before Blaine senior captain Tony Strand returned a punt 79 yards for the first score of the game. It seemed to set the tone for the rest of the game. Strand also grabbed an interception early in the fourth quarter. Prior Lake’s Spencer Shaver had a 48-yard reception in the second quarter to set up the Lakers' touchdown to make it a 10-7 deficit. The teams traded two turnovers apiece, but no points, in the third quarter. For Blaine, the result was a bit of revenge from a year ago when the Lakers (5-5) trounced the Bengals 49-14 in the same playoff round at Prior Lake. Both teams came into that contest with 6-3 records. It’s actually the third consecutive year these teams have met in the second round of the playoffs, with Blaine taking two out of three games. The best of the best college football prospects from the Minnesota high school class of 2019. Ninety-two players divided into North and South teams will compete at U.S. Bank Stadium.